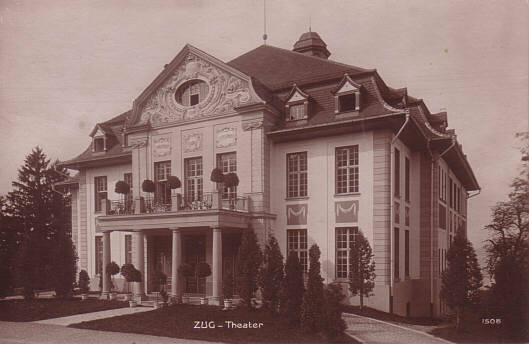 Built 1907 by Keiser and Bracher for the citizens' society "Theater- und Musikgesellschaft Zug". 1977-1980 major renovation to original plans and extension by a new theatre building by Amman and Baumann. New theatre opened 16 Oct 1981. Since 1999, operated by the city of Zug. Used for theatre performances, concerts, congresses, balls, and various other events.